Are you feeling excited about 2013? Thought I'd record some ideas that have been really helpful to me this week--in case you're looking to clean up your life a bit and make this next year even more wonderful. There are tons and tons of blogs out there that teach how to get by with less. They show you how to get rid of your stuff and focus your life on what's really important. I've always loved books like "It's Here . . . Somewhere" and Julie Morgenstern's "S.H.E.D. Your Stuff, Change Your Life." 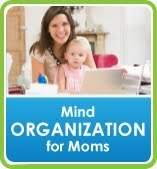 I follow blogs like SimpleMom.net, and I've spent lots of time de-cluttering in the past. I just didn't know that there was a movement going on that could help me become more deliberate in how I focus my life. "The end of a year and start of the new is a great metaphorical event to use to enhance a critical aspect of your constructive creativity—get rid of everything that you can. "Your psyche has a certain quota of open loops and incompletions that it can tolerate, and it will unconsciously block the engagement with new material if it has reached its limit. Release some memory. "Want more business? Get rid of all the old energy in the business you’ve done. Are there any open loops left with any of your clients? Any agreements or disagreements that have not been completed or resolved? Any agendas and communications that need to be expressed? Clean the slate. "Want more clothes? 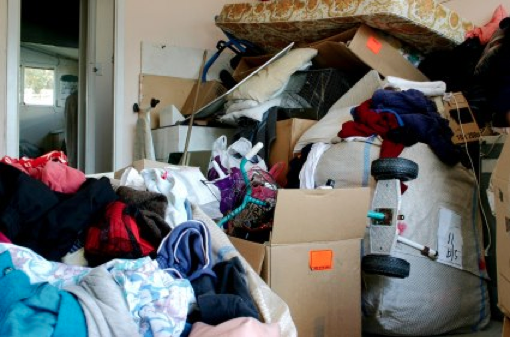 Go through your closets and storage areas and cart to your local donation center everything that you haven’t worn in the last 24 months. And anything that doesn’t feel or look just right when you wear it. "Want to be freer to go where you want to, when you want to, with new transportation? Clean out your glove compartments and trunks of your cars. And for heaven’s sake, get those little things fixed that have been bugging you. "Do you want to feel more useful? Hand off anything that you are under-utilizing to someone who can employ it better. "Want some new visions for your life and work? Clean up and organize your boxes of old photographs. Want to know what to do with your life when you grow up? Start by cleaning the center drawer of your desk. "You will have to do all this anyway, sometime. Right now don’t worry about the new. It’s coming toward you at lightning speed, no matter what. Just get the decks clear so you’re really ready to rock ‘n’ roll. So my family and I are doing some major de-cluttering this week. We're cleaning out our closets, garage, cupboards, drawers, reading baskets, bookshelves, filing cabinets . . . everything. We're making space in our lives so we can make room for the things that really matter in 2013. It doesn't have to happen all at once, and I'm sure we'll get better at this over time, but it feels AMAZING. At the end of the path, there's a little post, and before we ever turned around to walk back to our car, my mom said, "You have to touch!" So my siblings and I (whoever of us was accompanying mom) grew up "touching the post"--like it was part of a game. One day, however, I noticed that my mom wasn't just tagging the post quickly and heading back down the boardwalk, like I was. She touched it gently, closed her eyes, smiled, and then went on her way. I asked her what she was doing, and she said, "Every time I touch this post, I say quietly in my mind, 'I consecrate my day to the Lord.' Then I think about Him through the whole day and try to please Him in everything I do." That simple gesture meant a lot to me, and I started following her example. Sometimes when we would reach the post together, we would smile at each other and say aloud, "We consecrate our day to the Lord!" 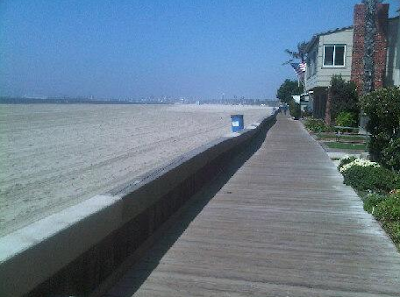 And then we would hold hands and walk the rest of the boardwalk--feeling a little more excited about the day ahead. Whenever I go on a jog that goes up and back the exact same path, I find some end point--a stop sign, a fence, a tree . . . and I think of my mom as I whisper, "I consecrate my day to the Lord." 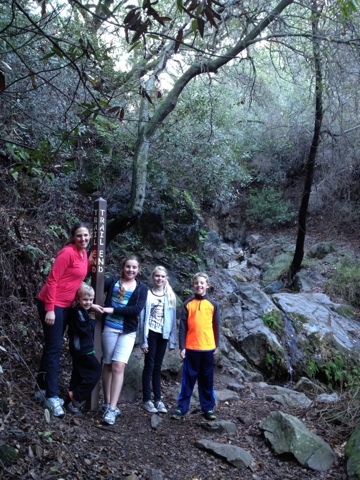 Last week, Eric and I took our children up a beautiful canyon trail near our home. Now that Spencer is five, we're able to do longer hikes, and so for the first time we made it to the "Trail End" of this specific path. I asked my children if they remembered what Grandma Zoe says whenever she reaches the end of a path, and they all chimed in, "I consecrate my day to the Lord." And then, since we're just about to start 2013, I said, "How about we consecrate our YEAR to the Lord?" The new year holds so many possibilities, and as I wrote out my list of goals, I wondered if I would really be able to do all these things I dream about. But then I realized that if my life is consecrated (declared to be sacred, sanctified, devoted), and if I'm closer to Him at the end of this year than I am at the beginning, then that is absolute success. Do you have any specific reminders that help you to focus on God? I just wanted to wish all of my friends, family members, and visitors to this blog a beautiful Christmas! In the midst of all the cookie-eating and gift-wrapping, we're trying to spend as much time as possible in meaningful activities that will help us to focus on the real reason for the celebrations. Anyone else feel the tendency to become overwhelmed and frazzled? One of my favorite ways to remember the purpose of Christmas is to listen to this recording we made of Spencer last year, when he was four. He was asked to give a short talk to the children's group at church, and so I practiced it with him over and over again at home. I would say one part, he would repeat. Click here to listen to Spencer's Christmas Talk. And if you haven't seen this lovely video by The Piano Guys, then you're in for a treat! There are a lot of things to think about this season. The recent tragedy in Connecticut has been a wake-up call for so many of us to focus harder on the time we have with our loved ones. And as we contemplate the arrival of 2013, I think every one of us would like to make this the year when our goals pop into place and we feel the Hand of God leading us on a daily basis. I love the Lord, and I know He lives. I know He has the power to strengthen us, help us, and direct us. And in the coming year, I want to do all I can to serve Him, help others to feel His love, and give Him my whole heart. He has an amazing power to make life beautiful. Several years ago, I'd taken on a very overwhelming project which took me far outside my comfort zone. I knew it was something God wanted me to do, but it was definitely not within my area of experience or expertise, and I felt extremely inadequate. For weeks I thought about it, talked with my husband about it, and brainstormed ways I could make it happen, but I kept procrastinating the actual doing of the project. 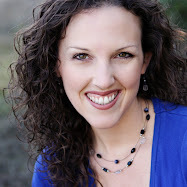 Then one afternoon, as I was driving the car around town, running errands by myself, I felt a voice inside, which I can only describe as the Spirit of God, say, "April, it's time for you to start doing all of the things you've been planning to do." I paused for a moment--knowing what I should do, but trembling inside at the mammoth amount of work that lay ahead of me and all the insecurities I had to overcome. The voice had been so real and so close, so I responded aloud, in a timid whisper, "But I'm scared." And then that voice asked me this question--which has stayed with me ever since. "Why are you scared when I am your Guide?" That single question--and the beautiful love and power that accompanied it--sank right into my heart. 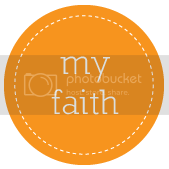 And in an instant, my hesitations, fears, and frustrations with myself transformed into a sure knowledge that I could do anything God wanted me to do--as long as I let Him be my Guide. I moved forward with the project and grew in enormous ways through the process, but the point of this post isn't to talk about that. It's highly likely (and possibly certain) that each one of us is "holding back" in at least one area of our growth and development because we are scared. That's human nature. Maybe we're afraid to open our hearts to others, afraid to write that book, afraid to even try to be that mom/wife/sister/friend whose image is perfected in our minds. I've actually been feeling really happy lately--so much that I've been pausing often during the day and thinking, "Wow, this is happiness. Right here! Right here!" But there are occasional days when I'm afraid to even get out of bed because my whole day feels like Mount Everest. My life feels scary to me. Behold, I will go before you and be your rearward; and I will be in your midst, and you shall not be confounded. That image of God going before us and behind us and also being in our midst completely empowers me. I'm not the perfect follower, and I definitely stumble and lose my focus and make tons of mistakes, but when I look to God, study His words, pray to Him, and offer my whole heart to Him on a daily basis, I don't feel afraid anymore. I don't feel the need to procrastinate. I'm convinced I can do hard things. That is a beautiful, beautiful feeling. And it's available to all of us. I hope some of these thoughts might be helpful to those who pass by this blog today, and I welcome any additional insights you'd like to share. Power of Moms inspired some of us to put on a Revival Recital this summer, to renew and revive old talents that have been pushed aside while we mother. But not anymore. I thought you might be interested, so here's the link. Thanks for the inspiration, Power of Moms. This put me in the BEST mood . . . for so many reasons. (1) How great is it that moms would take time to play music again? So many times the children's lessons and practice time become the focus (that's how it is in my home), but these moms got right in there and did it, too. (2) I love that this recital was for any skill level. You can just tell that they were sincerely routing for one another. (3) I love that the families came to cheer them on. That's powerful, isn't it? Last night, I pulled out our Christmas music binder and started playing some of my favorite songs (When Christmas Comes to Town, Somewhere in My Memory, O Holy Night, Breath of Heaven), and it felt SO GREAT! I need music in my life. It's a beautiful feeling to sit down and play something that stirs your heart. I told my children that so much of my love for the Lord was developed during the hours I sat at the piano and played hymns and sang my heart out. P.S. If you're commenting here and have a blog, will you type the blog url into your comment? I switched from Blogger comments to Disqus, and they don't have a way for me to easily link back to your blogs.